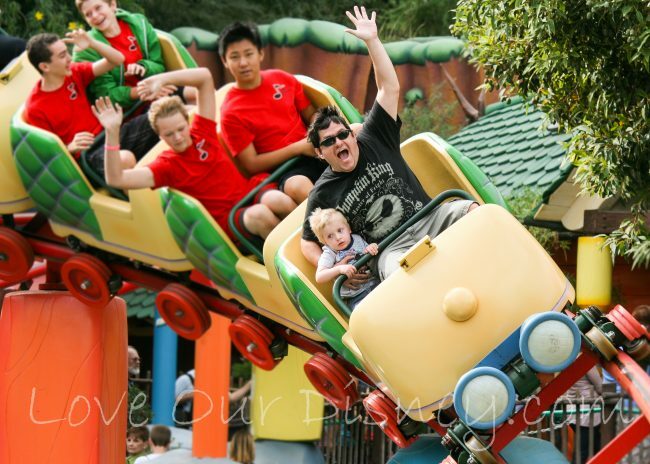 For some reason, people tend to think that there are no rides for toddlers at Disneyland. Totally untrue. 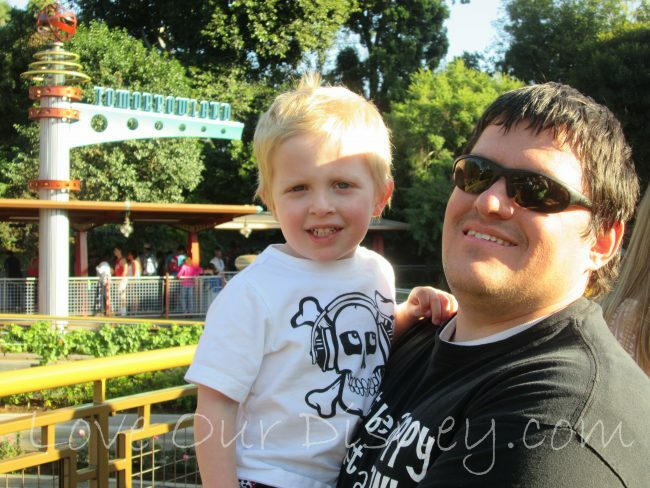 I went into all the myths about taking toddlers to Disneyland once and did the math. Less than 1/3 of the attractions have a height requirement. That means there is plenty for toddlers to do at Disneyland. So now you are saying “That is great! 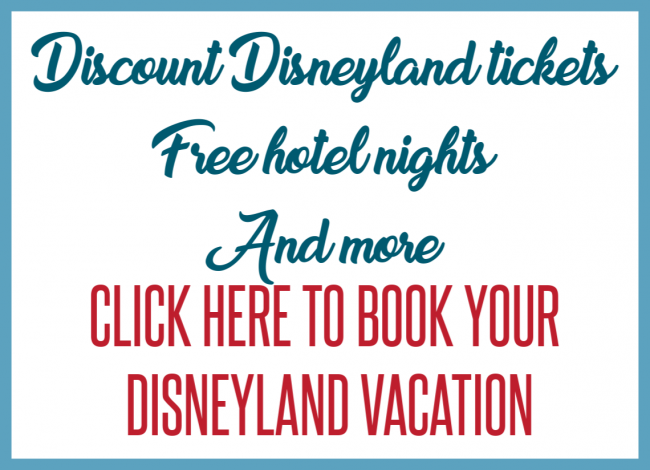 There are a lot of rides for toddlers at Disneyland? But what are the BEST Disneyland rides for toddlers?” Because just because a child can do a ride, doesn’t mean it is a good fit for a toddler. 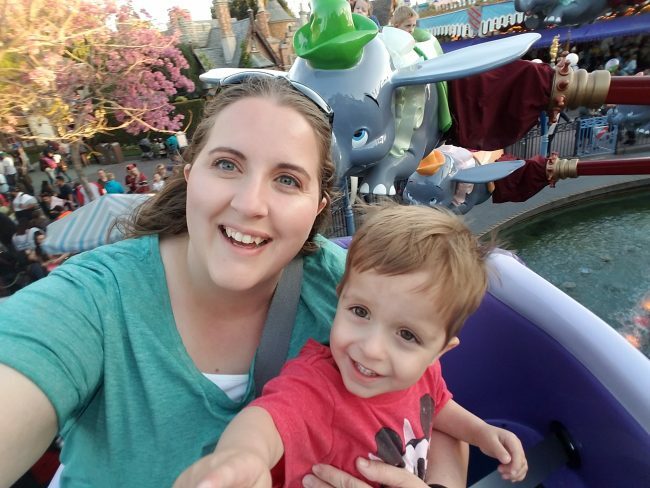 Today I am sharing my top Disneyland rides for toddlers so that you can be sure to check them out first on your next trip to Disneyland. 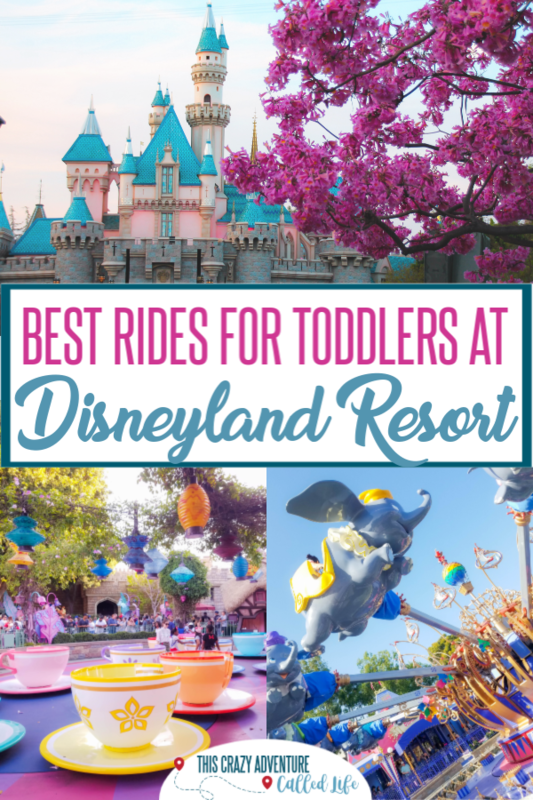 When deciding on the best Disneyland rides for toddlers I took a few things into account. Height Requirements. If it had a height requirement over 36″ then I did not count it. Scare Factor. How scary is the ride? If it is a Disneyland ride that might be scary for kids, I have left it out. Movement. The speed and type of movement was a factor in my decisions. Character/Story. I ranked stories that kids might recognize or enjoy a little higher. That does not mean a slightly scary ride will not rank, but it does mean that it may have a note about using caution based on your individual child. I really had a hard time narrowing this down, but I do know which rides my toddlers (and my older son when he was a toddler) go on and on about, so that helped me make my final ranking. My toddler (early preschool age) twins love Disneyland rides and have been talking about them non-stop since our last trip, so I trust their opinion when I had one that I was on the fence about. This is such a fun Disneyland ride for toddlers. The ride simply goes around and around, and they can control if the vehicle goes up or down. At the very end all of the elephants raise up and then come down for landing. Be aware: I have one child with sensory processing disorder and for some reason, he has a little bit of a hard time on this ride. He likes it but prefers to sit on my husband’s lap and lay back on him. My older son, who is on the spectrum, does not like this ride because it makes you go up high on the end before bringing the elephants back down. This ride is a simple, slow train ride through parts of Fantasyland. Families can pick to sit in different themed cars, from bench seats to cages for the circus animals. 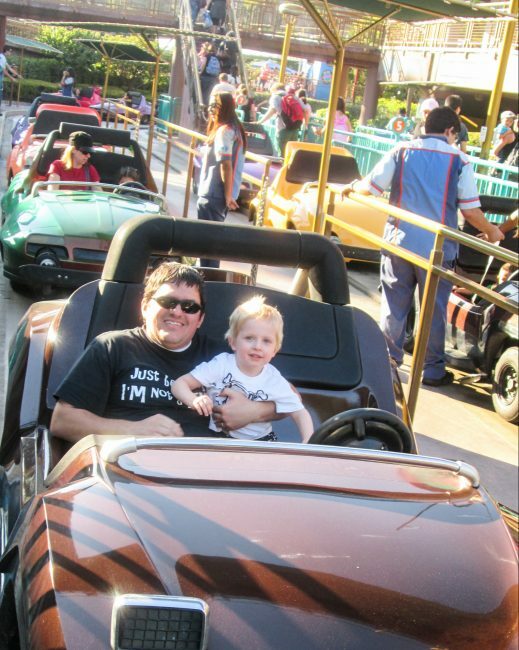 This Disneyland ride is great for toddlers because it is nice and slow, and most toddlers tend to love trains. This is one of the most popular Disneyland rides for toddlers, so be prepared for a long wait on this one. This ride is popular among the little ones because they get to ride in a flying pirate ship. You fly above the streets of London and off to Neverland. Be aware: This ride is a bit jerky for being one where you are “soaring” and does have a few small dips. Over in Disney California Adventure one of my toddler’s favorite rides is The Little Mermaid ~ Ariel’s Undersea Adventure. This ride is a classic dark ride (with way better animatronics) and features scenes and music from The Little Mermaid movie. The skip over the scariest scenes from the movie, though you can see Ursula singing before taking Ariel’s voice and her angry in the ocean in the background of the end scene. Be aware: While there are no fast drops on this ride, you will go backwards and slowly go downward on this ride. Back in Disneyland, the Astro Orbitor is one of our favorites as well. 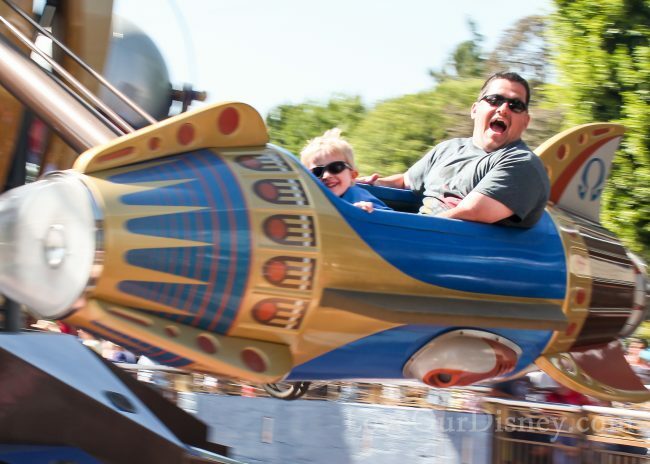 Much like Dumbo, this is a simple circular ride where you sit in flying rockets. My oldest likes this one better though because it never makes you go up at the end. You have control over the height of your rocket the entire ride. 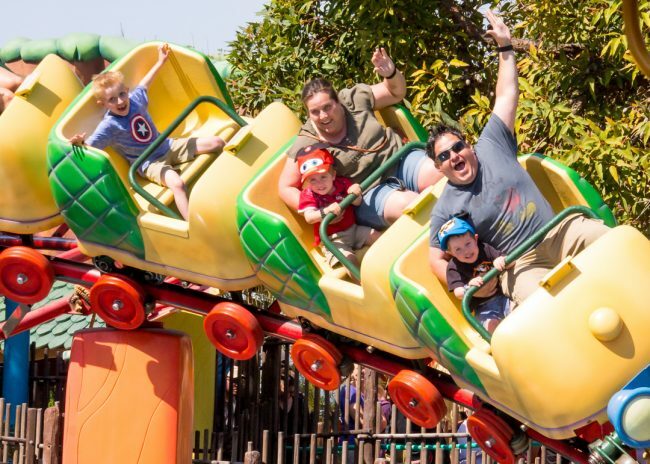 Unlike Dumbo, you can not sit side by side, so it might be better to ride Dumbo first before riding this one if you are worried how your kiddos will do on it. I can hear the parental moan as people read this one. But a list of Disneyland rides for toddlers would not be complete without the happiest cruise that ever sailed on the list. Listen, the lines for this one are pretty low in the morning, but can get long in the afternoon as parents decide a nice cool, air-conditioned boat ride wouldn’t be too bad. I suggest hitting this up in the morning and then hopefully, the song will be out of your head by the time you head out of the park that evening. But on a more serious note, this is a great ride showing scenes from all over the world. It is also fun to find the Disney and Pixar characters that have been added to the different scenes. This one is quite fun for kiddos who love cars, music, and a little bit of jerkiness. Located in Cars Land this is probably the best Disneyland ride for toddlers in Cars Land. It doesn’t toss you around quite as much as Mater’s Junkyard Jamboree, but it has a little bit of a thrill to it. The music is a lot of fun and my kids love to put their hands up when the cars spin around. This is also a great ride to take younger siblings on when utilizing Disneyland’s Rider Switch Pass for Radiator Springs Racers. This is another great one for kids who love cars. One of our twins is a little obsessed with cars, so he loves the fact that he can drive his own car (with a parent to push on the gas for him). Don’t worry, these cars are on a track and don’t go very fast at all. Be aware: This ride also has a 32″ height requirement to ride as a passenger. If your kid wants to do this Disneyland ride alone they must be 54″ tall. This ride can also be very jerky if you let your child steer. This ride is a great family ride for kiddos and follows the story of Alice in Wonderland. This ride is nice because it has 2 rows, so small families can all fit in one vehicle. My twins like this ride but not as much as the others on this list. 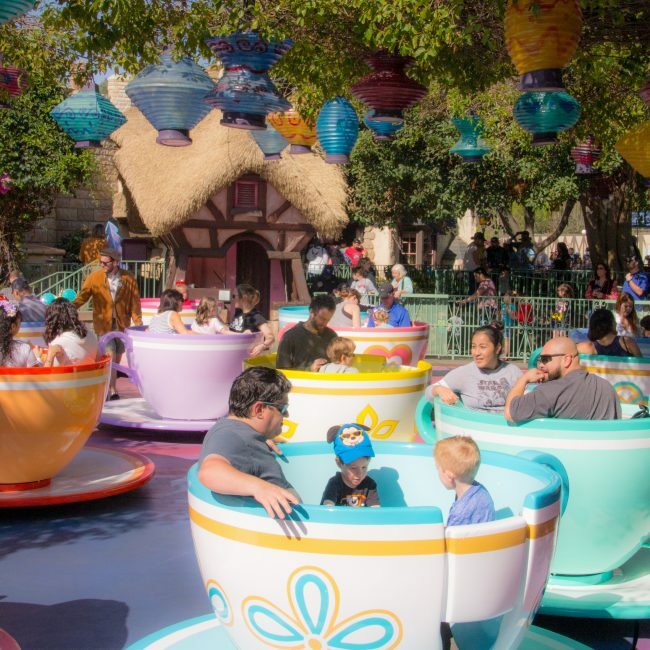 When you think of Disneyland, you most likely think of “the teacups” and smiling faces. This ride is great if you have kiddos who like to spin. We like to play a game on the teacups to see who can go the longest without smiling. Try it. It is impossible not to smile on the teacups. Be aware: While you can control the spinning a little bit, this ride is not good for those with motion sickness. This ride is just fun for the entire family. While kids may not care for wearing the glasses, and may not score a ton of points on this ride through board walk game themed ride, they will enjoy aiming and shooting at the targets. Plus it features their favorite Toy Story characters. During our trip in November 2018, my twins fell in love with this ride and wanted to ride it over and over. I suggest hitting this ride up in the morning. This ride also has 3 rows so families can ride together. If it is just 2 people riding, ask the cast members about a buddy pass. This allows you to access through the exit to fill in empty rows on ride vehicles. This is another one that is fun for the entire family. You get to take on the evil emporer Zurg with your astro blaster in hand. This ride is great because kids can “shoot at Zurg” and see fun Toy Story characters even though they rarely get the high scores. I debated putting this on here as there are plenty of carousels located in places like zoos, or parks around the country. But that is actually why I decided to put it on here. If you have a child that is a bit timid to try new rides, putting them on a carousel is a great first step towards working on other rides. 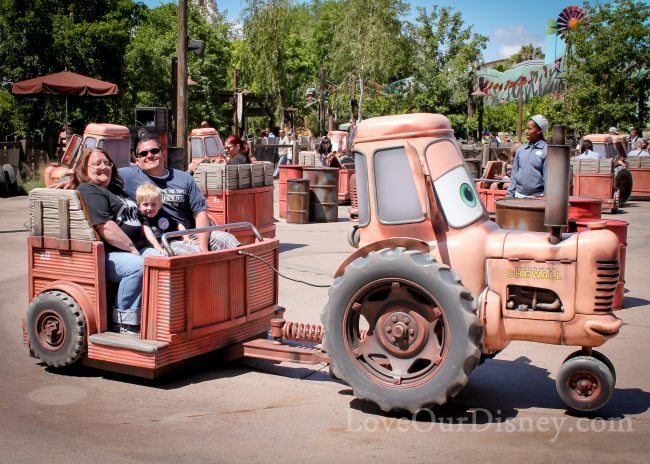 Mater’s is a fun ride for kids that enjoy a little more thrill. It may not seem like a thrill ride, but as you slide across the seat in Mater’s Junkyard Jamboree, many kids find it to be a little much. We made the mistake of this being our twins first ride after we took 18 months away from Disneyland. They were about 2 years old and this ride freaked them out. Took us several attempts to get them on another ride. They love it now, but maybe work your way up to this one. Be aware: This ride has a 32″ height requirement. 2 adults and a toddler in a vehicle make the ride a little less crazy. This is probably not a great Disneyland ride for toddlers who do not like thrills, but I wanted to put it in here for those who might want to start working their kiddos up towards doing thrill rides. This roller coaster is located in Mickey’s Toontown and is a mild coaster and lasts about 90 seconds. Sometimes that is enough for kiddos. All of my kids have looked terrified the first time they rode it, but have wanted to go again and eventually loved it. This ride can get pretty long lines so hit up Toontown as soon as it opens to avoid a thirty minute wait. Be aware: This ride has a 35″ height requirement. This ride is located across from Splash Mountain in Critter Country and is a great Disneyland Ride for toddlers. When my oldest was a toddler, we would ride this at night, and ask to get Sticky Stuck, and ride it over and over. Usually while other members of our party rode Splash Mountain. He loved it and still likes to go on this ride. Our twins also love it though our twin with sensory processing disorder has a hard time with the Heffalump room. 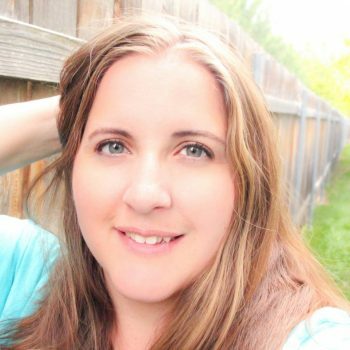 My kids have all done fine with other rides like Pirate’s of the Caribbean and The Haunted Mansion, as well as the other Fantasyland Rides and Finding Nemo Submarine Voyage, but those are rides we often read about kids being scared of in the Disneyland with Kids Facebook group, so I did not put them on this list.